ARES Director N.R. 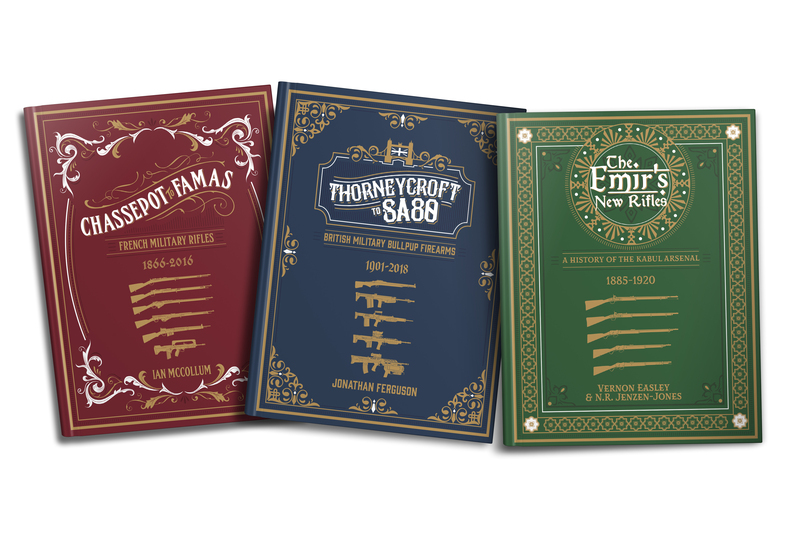 Jenzen-Jones and two well-respected colleagues from the firearms research industry have formed a new publishing concern, Headstamp Publishing, which will produce authoritative books on arms, munitions, and military history. Headstamp leverages its leadership’s exceptional access to top-tier collections around the world, as well as an extensive network of subject matter specialists, to deliver best-in-class books. These combine exceptional research and technical accuracy with the latest in high-quality production and photography techniques. Headstamp Publishing was founded by Director Jenzen-Jones, ARES Researcher Ian McCollum (of Forgotten Weapons fame), and James Rupley (the Co-Founder and Creative Director of the popular Vickers Guide book series). They aim to produce books that showcase world-class authors, technical specialists, photographers, and editors. The first will be Mr. McCollum’s highly-anticipated book on French Rifles, Chassepot to FAMAS: French Military Rifles, 1866–2016. Director Jenzen-Jones will serve as Headstamp’s Director of Research and Editor-in-Chief, bringing to the table the extensive experience he has acquired in the course of his work with ARES and elsewhere. He will coordinate authors, technical reviewers, subject matter experts, and editors to ensure all publications meet rigorous content standards. Several other ARES personnel will be involved in the new enterprise, including ARES Technical Specialist Jonathan Ferguson, who is authoring a forthcoming Headstamp title, Thorneycroft to SA80: British Military Bullpup Firearms, 1901–2018. ARES personnel will also support Headstamp more broadly, providing technical review, advisory, and other services. If you want to stay up-to-date on Headstamp Publishing’s forthcoming titles, be the first to know about pre-order campaigns, and see behind-the-scenes content, you can sign-up to their mailing list. This looks amazing! We are all very excited for the first release.